Paul Young was very successful with his first two albums, 'No parlez' and 'The secret of association'. Sell-out tours and many hit singles followed between 1983 and 1986. This version of 'Everything must change' was a limited edition featuring a free second single. It was a marketing ploy that was very popular at the time. 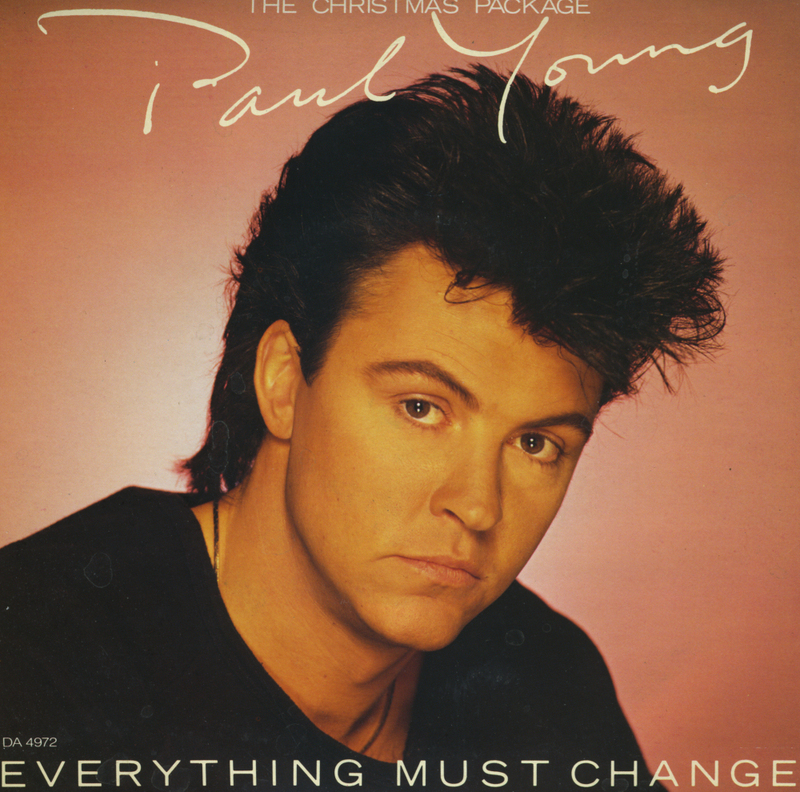 Released near the end of 1984, it was quite fitting that Paul recorded a Christmas message for his fans to be included on this single. One can wonder whether it was a good idea to put it right in the middle of the instrumental version of 'Everything must change' though.